Although some time has passed since the epidemic of the Sand fire – there are still many who still need our help in the community. There are still several crowdfunding campaigns that haven’t met their goals. Here are some crowdfunding campaigns that still need our help. 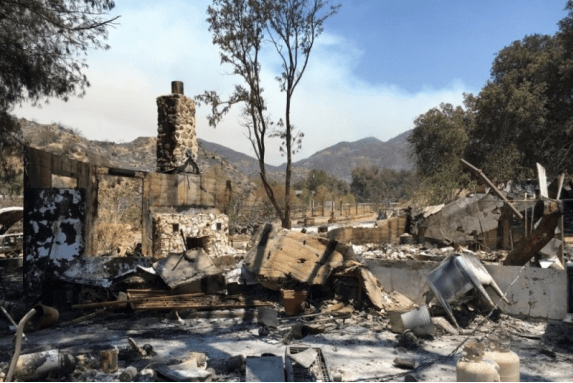 Sergio Toscano, one of the few firefighters who lost their homes while in the midst of battling the Sand Fire, has a crowdfunding campaign that was set up by a fellow firefighter (Brandon Opliger) for $50,000. Toscano is very thankful for any support he can get during this tough time. Every penny counts! Another crowdfunding campaign going on for $50,000 is for Christina and Drew Pease. They came back to their home after the evacuation was lifted – unfortunately though, they had no home to come home to at that point. They’re just trying to get back on their feet now. Another family that was forced to leave their home during the evacuation of the Sand fire was the Sanborns. Unfortunately, they had no time to prepare for their evacuation and were limited to what they could take with them. A family friend by the name of Davis Sannerud, decided to set up a crowdfunding campaign for the Sanborns because they unfortunately had NO insurance and lost everything aside from some important documents. Are you an animal lover? Then maybe this crowdfunding campaign is for you. This $5,000 campaign is set to fund the volunteers and the animals that are being taken care of.